On Friday, October 23, Randy Biddle gave a lunchtime lecture at the Maritime Museum library concerning the brig Pilgrim. 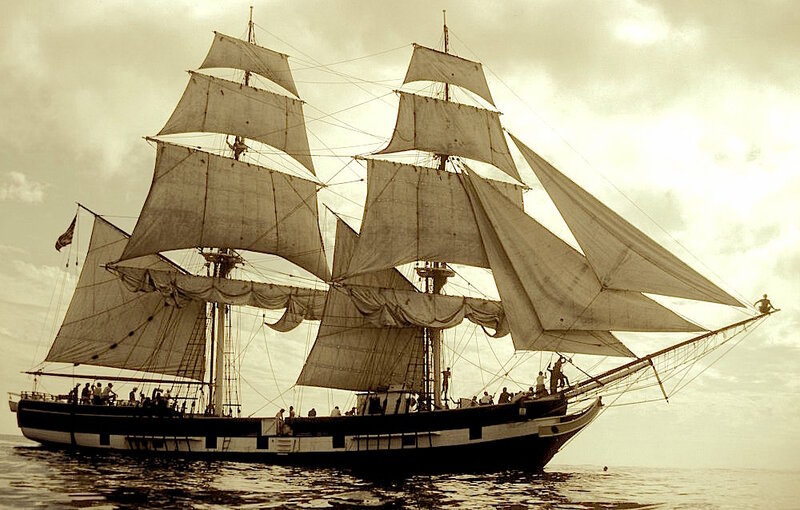 This is the ship upon which Richard Henry Dana, Jr., voyaged from the East Coast to Alta, California in 1834, as described in his memoir, “Two Years Before the Mast”. Biddle’s talk was interesting, nicely organized, and supported by a PowerPoint presentation including many photographs and document images. The theme of the lecture was an overview of Randy’s historical research regarding the vessel, and his findings. He explained the central role of locating and studying the ship’s register in this type of research. The register has only a minimal description of the ship itself, but it contains a complete chronological record of the owners and masters of the vessel throughout her life. 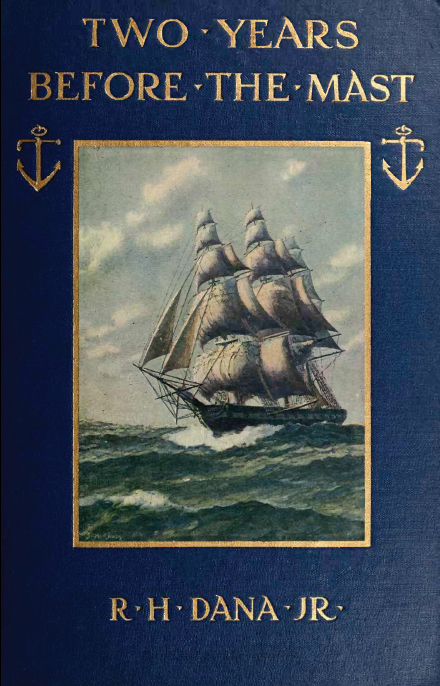 This record was critical to distinguishing the brig Pilgrim on which Dana sailed from the 6 or 8 other brigs, also named Pilgrim, which plied the seas during the same years. Information from the register permitted Biddle to verify the only known painting of Dana’s Pilgrim. Some interesting detective work resulted in Biddle locating an original watercolor painting, owned by a family in Connecticut, allegedly of the “right” Pilgrim. He visited the family, and was permitted to inspect and photograph the painting, which was made in Palermo, Italy, some years after Dana’s voyage. As was sometimes the case in those days, the painting had a caption at the bottom, identifying the ship as the Pilgrim, along with a date, and the name of the Captain. The Captain was the same person identified in the Pilgrim’s register as the master at the date of the painting. The painting actually showed the brig from two separate views. At first blush one’s attention was drawn to a beautiful profile view of the ship, apparently sailing across the field of view into a harbor. A second brig is seen in the background, sailing away from the viewer. It is also an image of the Pilgrim, permitting a view from the stern quarter of the vessel. This entry was posted in Maritime Museums, News and tagged Brig Pilgrim, J. Porter Shaw Library, Library Talk, Maritime Library, Randy Biddle, Richard Henry Dana Jr, San Francisco Maritime Museum by catopower. Bookmark the permalink.